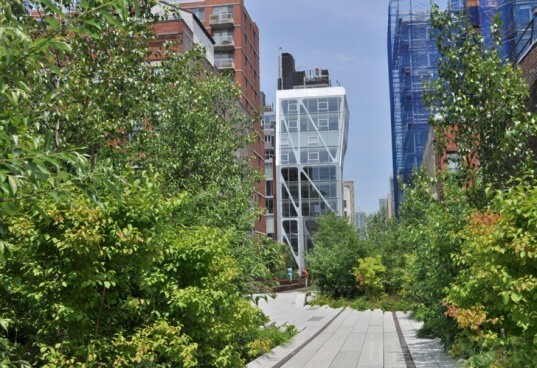 VIDEO: High Line Section Two Opens in NYC! Section two of New York City’s High Line Park opened a couple of years ago to great acclaim, and Team Inhabitat were among the first to catch a glimpse of this amazing new green space! The High Line is a renovated train track that has been turned into a gorgeous greenway in the sky on the West side of Manhattan near the Hudson River. Conceived of by Friends of the High Line and executed by James Corner Field Operations and Diller, Scofidio and Renfro for the City of New York, the High Line is one of our favorite urban spaces. Check out our video for an exclusive tour of the High Line by our own Jill Fehrenbacher — which includes behind-the-scenes tidbits from the minds who created the project. Even if you’re not in New York City, our video shows you the sweeping views, gorgeous greenery and inspired design behind this incredible urban park.. Section two of the High Line stretches 10 blocks from 20th street to 30th street parallel to 10th avenue, and our video takes you from tip to tip so that you can see all the nooks and crannies along the way. The new length of the park is marked by a thicket of trees, an expansive sun lawn, many places to sit, lounge and people watch, and a stunning drop-out section where you can see through the grate walkway down to the structure of I-beams that actually holds the High Line in place. While chatting with James Corner, Ricardo Scofidio and Robert Hammond, we asked what their favorite part of the High Line was and about their plans for section three — which loops around from 30th street to 34th street and stops just short of the Javits Center. Though they each were inclined to tell us they loved the whole thing equally, we squeaked out the truth — they’ve each got a spot they love the most — although we are inclined to believe their initial sentiment. The High Line is shaping up to be quite an incredible experience, from Gansevoort to 30th street — and some day beyond — we couldn’t imagine this great urban space being anything other than what it is, an inspiring tribute to the industry of the past and the design of the future. I'd be curious to know the economic impact of the High Line project; property value increases, retail traffic, new building starts and impacts on the adjacencies. I suspect a way to boost the impact of the High Line would be to streetscape and vegetate the lateral viewsheds with some similarly inventive experiential landscape installations. Section two of New York City's High Line Park opened a couple of years ago to great acclaim, and Team Inhabitat were among the first to catch a glimpse of this amazing new green space! The High Line is a renovated train track that has been turned into a gorgeous greenway in the sky on the West side of Manhattan near the Hudson River. Conceived of by Friends of the High Line and executed by James Corner Field Operations and Diller, Scofidio and Renfro for the City of New York, the High Line is one of our favorite urban spaces. 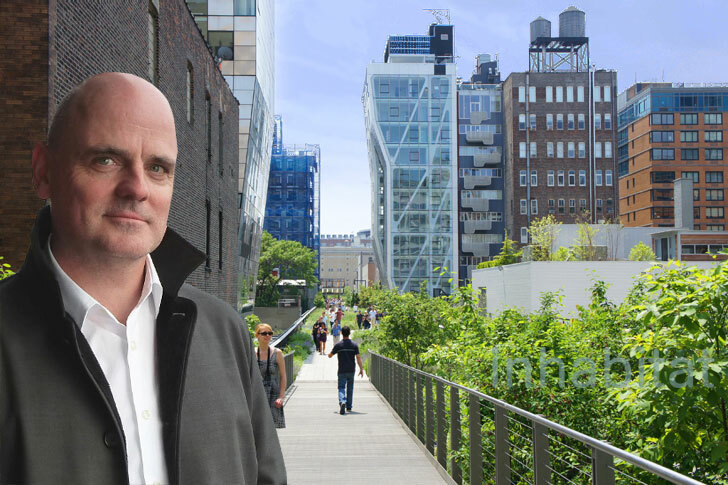 Check out our video for an exclusive tour of the High Line by our own Jill Fehrenbacher -- which includes behind-the-scenes tidbits from the minds who created the project. Even if you're not in New York City, our video shows you the sweeping views, gorgeous greenery and inspired design behind this incredible urban park..